My name is William Nixon, M.D. I was born in England and moved to Alpharetta, Georgia at the age of ten. I attended the University of Georgia and recently graduated from the Medical College of Georgia. I have always had a keen interest in politics and how it affects the practice of medicine. During medical school I was a student advocate for increased funding for medical residency positions in Georgia and continued funding for our state medical school. 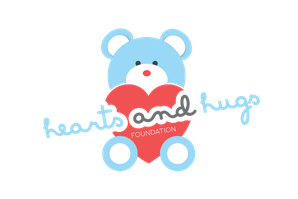 I will continue political advocacy through the Heart and Hugs foundation and will work to influence legislation that supports our mission. My name is Neil Patel, M.D. and I am a graduate of The Medical College of Georgia. I have called Georgia my home for the past 12 years, and have been fortunate enough to travel to over 50 countries in my lifetime. My experiences have really given me insight on healthcare inequality and lack of preventative medicine both locally and internationally. 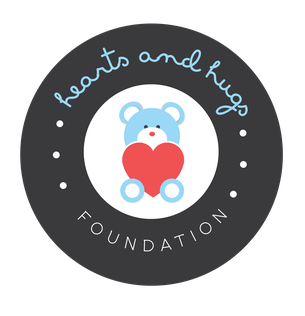 I am incredibly excited to work with Hearts and Hugs Foundation in order to educate and provide our community with preventative healthcare to build a brighter future for tomorrow. My name is Chrissy Callaway and I am a 3rd year medical student at The Medical College of Georgia. I graduated with my Bachelor of Science in Nursing from Georgia Regents University (now Augusta University). I am honored to serve as one of the Community Vice Presidents for my class, and am very passionate about improving the health of the community through preventative medicine. My name is Kishen Patel MBA, and I am a soon-to-be graduate of Emory University School of Medicine and Goizueta Business School. Through my experiences in medical school and business school, I have realized that there are countless opportunities to improve healthcare delivery in order to reduce waste and costs. These efficiency gains can help improve healthcare access to the millions of Americans who do not currently have adequate access to preventative medicine. My name is Babatunde Fariyike and I am a 3rd year medical student at The Medical College of Georgia. I graduated with a Bachelor's degree in Biomedical Sciences from Augusta University. I have been honored with the position of class president, and being a former offensive lineman at Auburn University, have had my fair share of acquiring (and inflicting) injures. Now I'd like to even the scales of karma by preventing them. My name is Burton Dunlap M.D. and I am a graduate of The Medical College of Georgia. 26 years in Georgia has provided me with endless opportunities thus far, but has taught me that there is always room for improvement. The key to success in preventative healthcare is maintaining a proactive mindset and we look forward to putting thoughts to action in the surrounding community. My name is Kalpana Reddy and I am a 3rd year medical student at The Medical College of Georgia. I graduated with a Bachelor of Science in Biology and Psychology from the University of Georgia. I proudly serve my class as one of the Community Vice Presidents, and I strongly believe we are each deeply connected to the communities around us so serving our community is not just a responsibility, but an act of love. Hey! My name is Leslie Peard M.D. and I could not be more excited to be part of the Hearts and Hugs Foundation. I completed my undergraduate degree at Washington and Lee University, and I am a recent graduate at the Medical College of Georgia. Everywhere I have lived and worked, I have always been passionate about getting out there and creating a healthier community through education and preventative medicine.